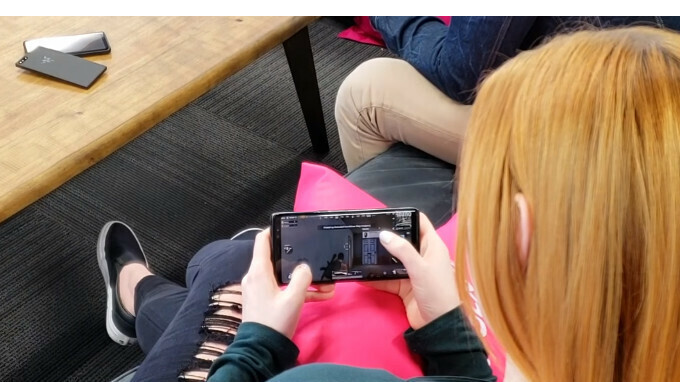 T-Mobile today released a new video to showcase the "top 5 mobile phones for online gaming" that are currently in its portfolio. Unsurprisingly, all the handsets presented in the video - embedded below - are on the expensive side, offering high-end features and high screen-to-body ratios. T-Mobile starts its list from the bottom, with the Samsung Galaxy S8+, which may be 1-year old, but it's still a pretty powerful handset. Next, T-Mobile shows off the iPhone X (with its class-leading A11 Bionic processor and Apple's own high-end GPU), the Samsung Galaxy Note 8, and the LG V30+ (which has the advantage of being compatible with T-Mobile's 600 MHz spectrum for extended LTE coverage). Ultimately, T-Mobile presents the recently-released Samsung Galaxy S9+ as its best smartphone for gaming. The carrier praises the S9+ for its Snapdragon 845 processor (and the powerful Adreno 630 GPU), its screen, dual speakers, enhanced LTE coverage, and Samsung's Game Launcher. Of course, at the end of the day, all five phones mentioned here will do a great job at playing demanding games - like PUBG Mobile, which, as you'll surely notice, is heavily featured in T-Mobile's video. Razer Phone? Looks like a sponsored video from Tmobile. I guess you didn't read the article's first sentence, particularly the last part, where it says these are smartphones currently in T-Mobile's portfolio. It wouldn't make sense for T-Mobile to present handsets that it doesn't sell - like the Razer Phone. I’m not so inclined to believe this. I’ve seen speed test comparisons of the S9+ beating the iPhones in app opening tests that were network based and many web browser tests. The one thing that I maintain that Apple will always do better in (in no fault of the S9’s hardware) the overwhelming majority of the time is speed and sometimes aesthetics of gaming applications. Devs often optimize the games more specifically for individual Apple hardware, this is a luxury most top brand Android manufacturers don’t lavish in. Despite not being specifically optimized for major game titles like the iPhones are, I’ve seen the S9 come relatively close to the speed in many of these. It’s not strictly about a list of hardware specifications. Software and hardware optimization is a perk that iOS games enjoy. Razer phone is much better than S9+ and S8+ for gaming the edge to edge displays on the S series can cause accidental touches sometimes in games but nonetheless they still are good for gaming just not the best. It may be better. But the lack of availability is the problem compared to the S9+ and S8+. I could go to a nearest mobile smartphone store or a carrier. And I can get a S9+ or S8+ unlocked or locked on the carrier. Meanwhile. Finding an authorized Razer phone vendor is harder. Company that sells phones is saying, that one of the most expensive variants is the best? No s**t Sherlock. As long as like Note 8 for gaming still iPhone beats any phone when it comes to gaming performance. It won't change for a long time, not just because of the powerful GPU, but "low ress" Apple screens as well. If you have a HD, full HD and iPhone X format VS QHD it is really no big surprise. Samsung is pushing at least 55% higher resolution and at the most extreme case 4x times as many pixels. I’m using full had plus on my note 8 iPhone X has by default higher resulation than full hd plus on note 8. How about API? Majority of apple apps are optimized by using METAL API. While most android apps aren't Vulkan optimized. Of course this is the list because they don't carry other high end phones like HTC.